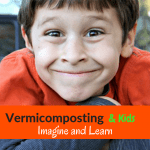 Kids love worms and vermicomposting for kids can be a family-oriented activity that all will enjoy. 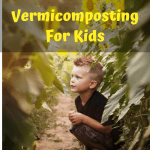 Vermicomposting is just a fancy word for raising composting worms. 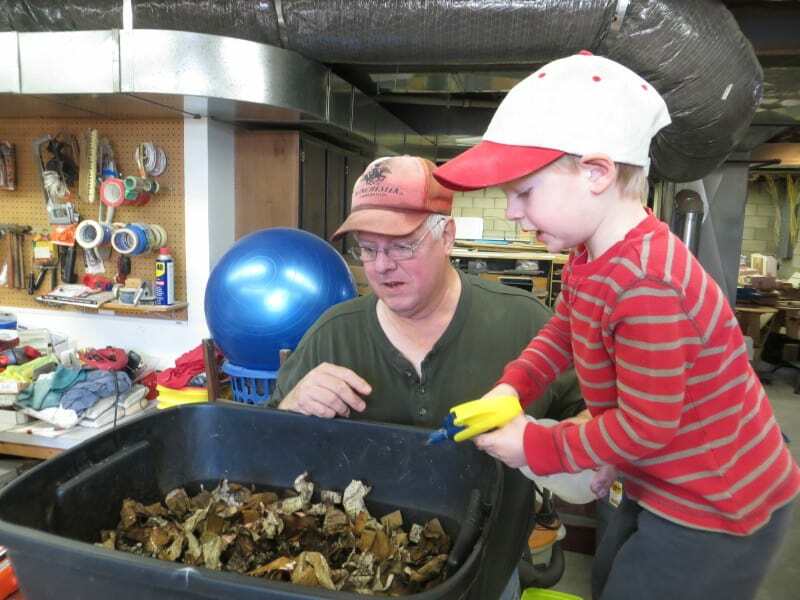 Composting worms are easy to care for and very forgiving even if neglected a little bit. 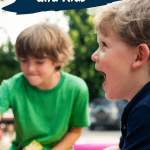 This makes them an ideal project for the short attention spans that kids can sometimes have. 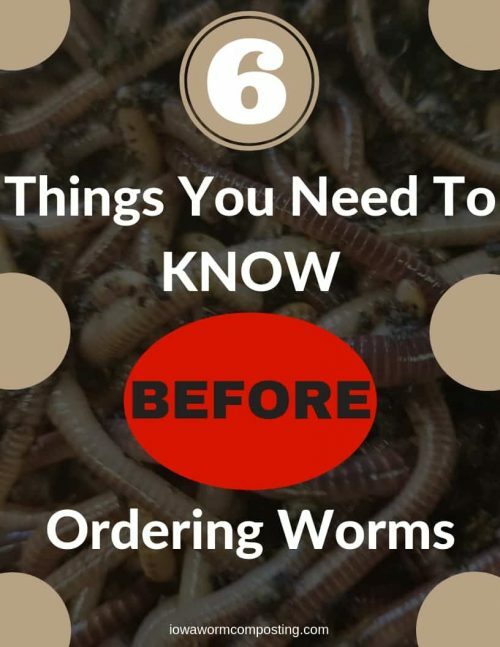 Worms can be raised indoors or out and don’t require a lot of space. There are also many benefits for Mom and Dad. 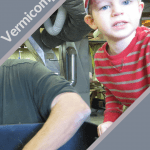 This article will cover the basics and requirements to get you and your kids started in vermicomposting. Let’s take a look at a few ideas to begin. The type of worm to use is very important. We are going to want composting (epigeic) worms. These are not your typical backyard soil (endogeic) worms. Endogeic worms do not do well in captivity while epigeic worms will thrive. 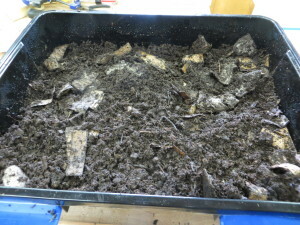 There are many types of composting (epigeic) worms. 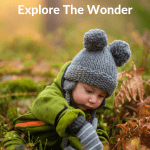 Red worms are a very good choice for beginners both young and old. 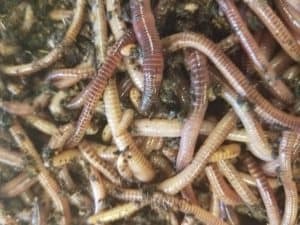 Red worms or red wigglers are the easiest and most forgiving composting worms to raise. They can tolerate a wide variety of temperatures and bedding conditions. They are available online and very reasonably priced. We are going to need housing for our worms. Most beginners will start with a small plastic tote (bin). These are very reasonably priced. Under 10 bucks. There is also the possibility of using something for a bin that you already have. 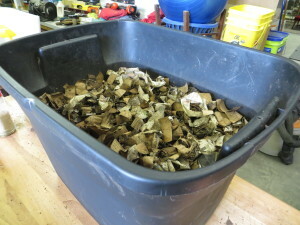 Check out my Cheap Worm Bins blog post for many ideas. A small plastic mortar tray (Home Depot) is a great choice and costs about 6 dollars. Bedding for your worms is also a requirement. This is frequently torn-up newspaper and corrugated cardboard. There are many bedding materials that you can use. Peat moss, coconut coir, aged manure, etc. A combination of two or more is good practice. Use what you have available. You will want to add moisture (water) to your bedding until it is about the texture of a wrung-out sponge. Squeeze a handful and if you get a few drops of water out… that is perfect. You can mist with a water bottle to keep it at the correct moisture level. You don’t have to buy worm food. Your worms will eat your garbage. That is.. most of your vegetable scraps and coffee grounds. That is the beauty of vermicomposting. 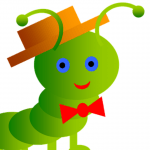 Composting worms will eat about their weight in food every few days. A pound of worms will eat about two to three pounds of food and bedding a week. I like to add equal amounts of food and bedding when feeding. This helps to also control moisture levels in your bin. My Getting Started Page has many helpful tips about food, bedding, and general care of your worms. 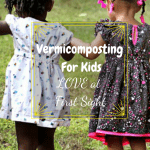 Vermicomposting for kids is great but there are many benefits for Mom and Dad too. 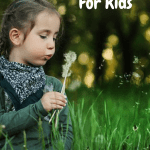 Your kids get a “science project”, learn about recycling, and are taught about caring and responsibility. Mom and Dad get to recycle some waste that was going to the landfill. Mom and Dad will have worm castings (poop) to use on potted plants, gardens, landscapes, and/or yards. This is an organic non-toxic soil amendment that is expensive to buy. Mom and Dad have a chance to teach their kids about raising plants and/or gardening that is a very valuable skill. You will get all this for about thirty minutes a week. Pretty good deal. The smiles are a bonus! This is a great family project. 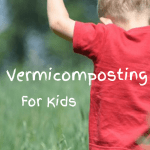 Vermicomposting for kids is…. not just for kids. Everyone in the family benefits from sending less organic waste to the landfill that ends up as methane gas. You will all have a source of an organic soil amendment that is referred to as “Black Gold”. The kids will have fun learning about and watching their worms do the work. It might even spark some conversations…. now THAT is priceless.